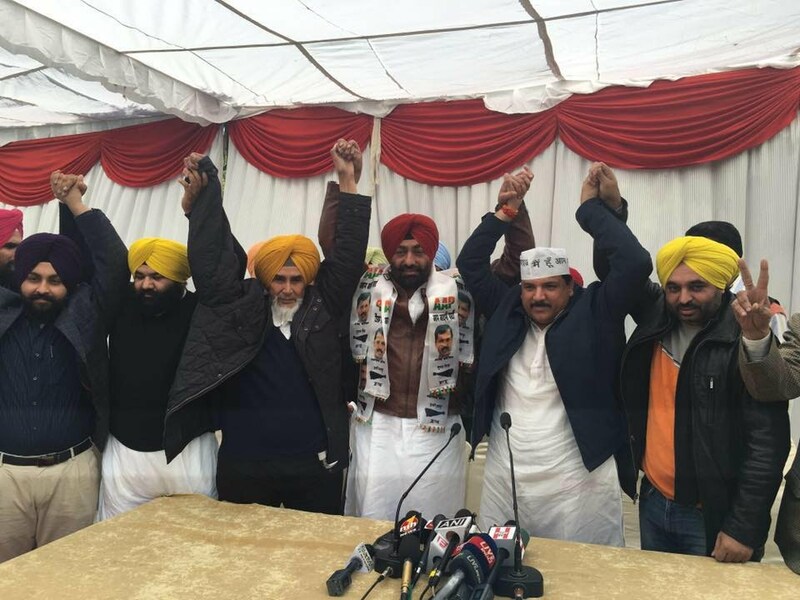 (Boney Bindra) Sukhpal Singh Khiara’s supporters who were on their toes after a fake news of the previous LoP’s new party broke. Some very reliable newspapers of Punjab broke the news and the whole Khaira supporting fan base was eager to hear the “Subh Mahurat”. But, alas, this new party speculation was nipped in the bud today but the Ex-Leader of Opposition Khaira via his Facebook live video. The still Aam Adami Party’s MLA Khaira started his live by thanking all his supporters for attending the Bargadi March of 7th of October. Khaira said that the people of Punjab rejected both rallies of the 7th, “Jabar Virodhi Rally” of the Badals and Lambi rally of Captain Amarinder Singh. “We had nothing to offer to our supporters, we didn’t even had proper arrangement but the way people took care of themselves, was moving,” Said an amused Sukhpal. Talking about the eating arrangements of the rally, he explained that there were ‘Langars’ all over the road, from where the march passed. Then coming to the main point of the live, the legislator rejected the news of erecting a new party in Punjab. “I have respect for Delhi in my heart, I am okay with Delhi leadership, but Punjab unit of this party will take their decisions by itself,” cleared the ex-congressman. He once again with open arms, urged the Delhi leadership to start the peace talks with them. “Ao Appan Baith Ke Table Te Gal Karde Han, Koi Haal Kadh Lawange,” (let’s sit together and discuss things, we will surely find a solution). We have seen and heard Sukhpal Singh speaking more times than we can remember on public platforms and not once did we hear him saying, “I have respect for Delhi”. AAP’s convener Arvind Kejriwal was is Punjab today, he wandered his fair share in Punjab, from Delhi to Sangrur and Sangrur to Bathinda he went. There are good chances that, Kejriwal who till now, was rejecting the idea of having a table talk with Khaira, have met him yesterday. Is this the reason behind, the previous LoP’s loosened grip on the leash against Delhi? Has he been also attracted ‘Kejri-Wal’?